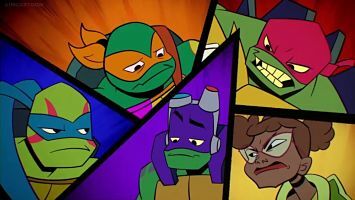 My Animation Scoop Q&A with Eric Bauza, the voice of Splinter on Nickelodeon’s new animated series “Rise of the Teenage Mutant Ninja Turtles”, premiering this Monday, Sept. 17th at 6:30pmET. Lights Camera Jackson (a.k.a. Jackson Murphy) began his career as a film critic/entertainment reporter in 2006 at the age of 7. Jackson has written nearly 1,000 reviews of new releases. All together he has seen more than 1,500 films. In 2010, Jackson became the youngest person to win a NY Emmy Award, for his on-air movie reviews on Time Warner TV station, Capital News 9. LCJ appears every Friday morning on WGNA-FM . His movie reviews are also posted on his website, his YouTube channel and the popular website Cultjer.com. He is also a contributing writer for Jerry Beck’s AnimationScoop.com. Jackson hosts the weekly internet pop culture news show “LCJ LIVE” (every Sunday at Noon ET). And “The LCJ Q&A Podcast” features interviews with celebrities and filmmakers. Among those who have joined LCJ on the show are comedy legend Gilbert Gottfried, “Wallace & Gromit” creator Nick Park, Emmy-winning game show host Todd Newton and Oscar-winning screenwriter Diablo Cody.